Bethany was gone on a youth ministry women’s retreat from about 4pm yesterday until the same time today when she got home. Above is a photo of what she woke up to this morning. 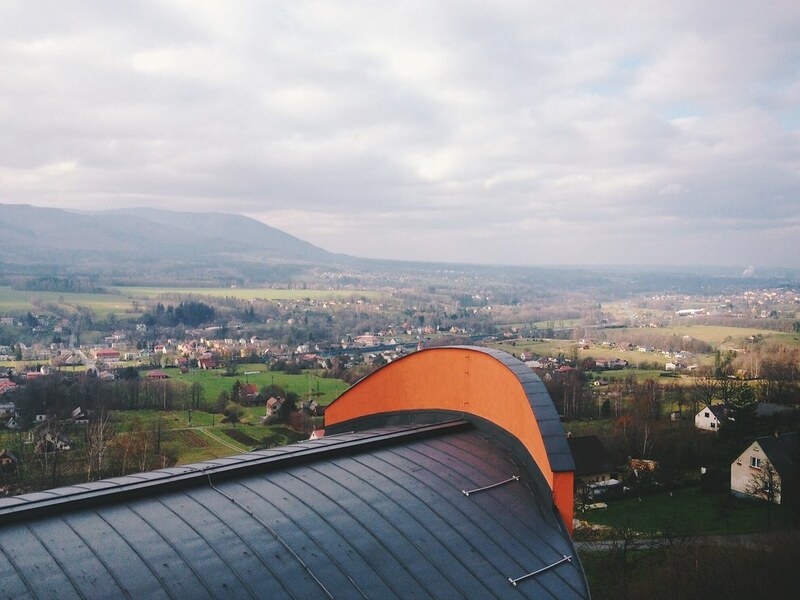 Not only is that an incredible view, but the weather again was gorgeous today. I originally thought she was headed in to Poland for the retreat, but found out late last night that they had actually stayed at our sister church’s facility here in Czech, about thirty minutes away. Bethany said the entire event was really well done and she was glad for some time to get to know the girls better. She also said that it gave her a great opportunity to just practice listening to the Czech language because all except for one session was in Czech. 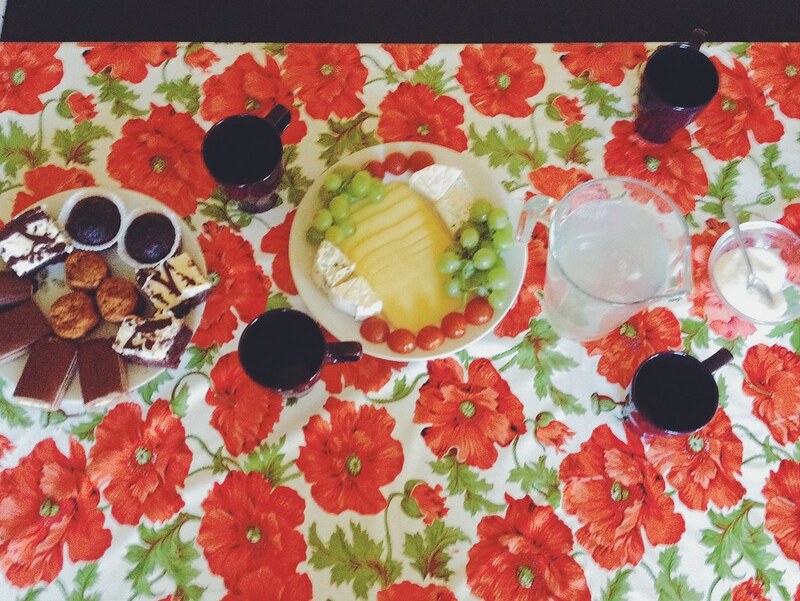 Below is a photo of “the fabulous food that we were blessed by,” as Bethany put it. Back at the home front, the kids and I enjoyed a fun Saturday together. This morning as I was making breakfast for all of us, Avery was playing with the clementines on the kitchen table. First she told me, “Daddy, I made a ‘W'” (top left in the photo below). Of course I snapped a photo because I thought she was clever. 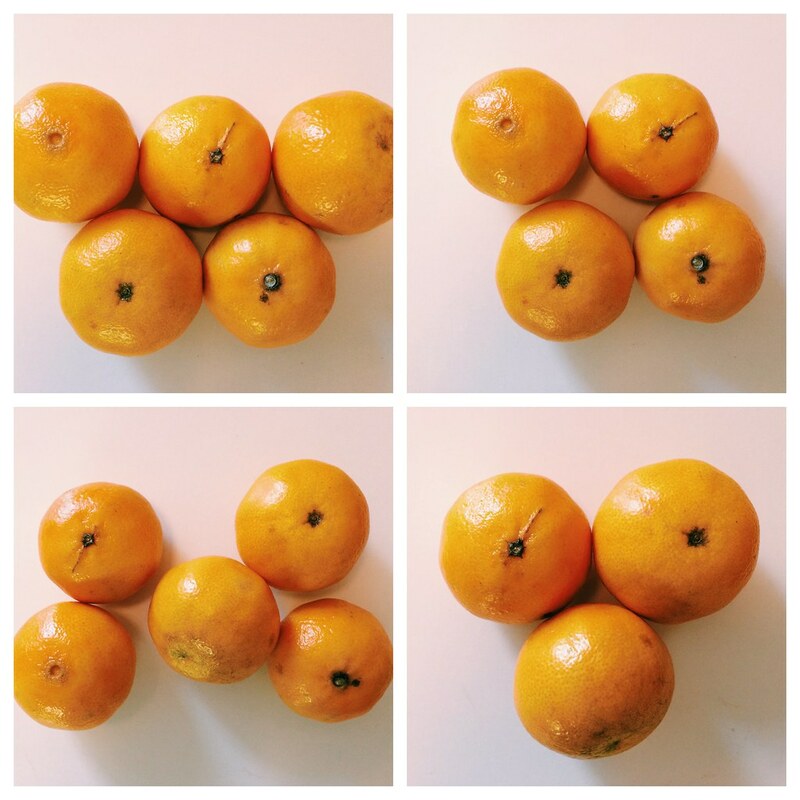 To my surprise she quickly took one of the oranges away and said, “Now it’s a square” (top right). Sure, it’s a crooked square, but I’ll take a photo of it too. No sooner had I gone back to making scrambled eggs and Avery said, “Daddy! I made a butterfly!” (bottom left). Nice one. Then she told me, “I can make Mickey mouse, too” and rearranged them in to those classic three circle shape we all know and love (bottom right). She concluded with, “Yeah, I can make shapes and letters and stuff.” Yes, you can, Avery. 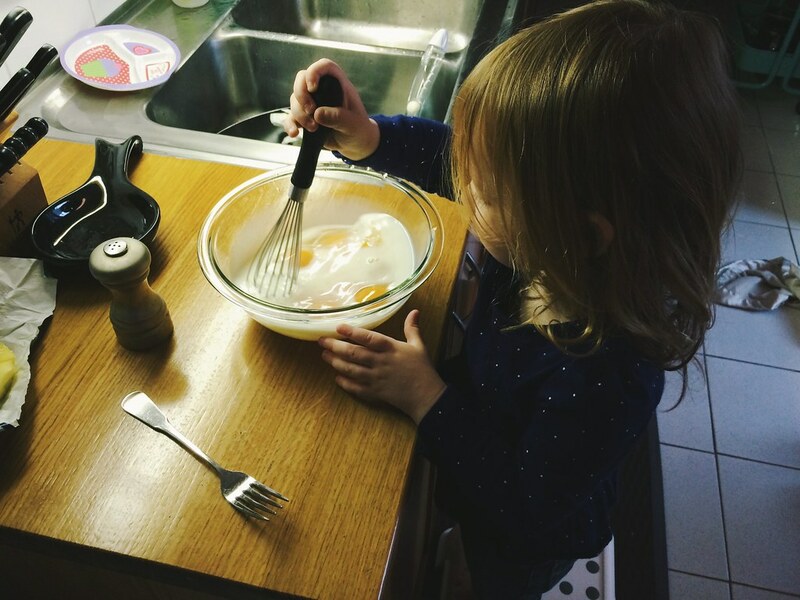 Besides making orange shapes, Avery also helped destroy some orange circles and mixed up the scrambled eggs in the bowl. When mommy’s not home I’ll take all the help I can get! We have been talking for a while about getting the car washed and since I can’t really do it in our driveway (I still need to buy a hose and some buckets), I decided to take the kids through the drive thru wash at a nearby Shell gas station. Another missionary put the thought in my head and I have been wanting to try it out. The kids and I cleaned out the car and went over there as I pulled up I saw this sign. Uh oh. 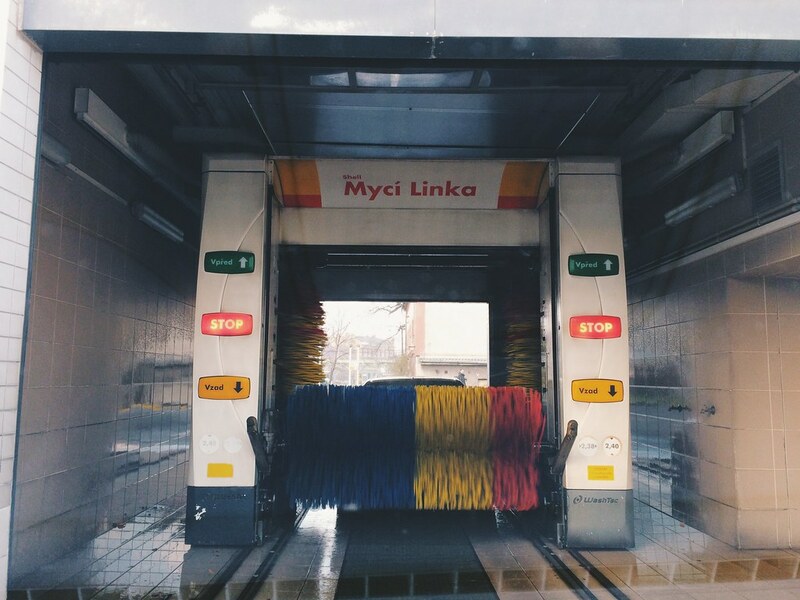 I was pretty sure that “Myci Linka” means car wash, but other than that I don’t know what any of that says; I better call in reinforcements (I realize we have these in the States, but I haven’t really used many of them so I just wanted to make sure I was doing it right). Our friend Mel helped me navigate the fact that I needed to get out of line, go inside, pick a car wash, pay, get a code, and come back in line with my car and type it in. Through my broken Czech I was able to understand that I was getting the first car wash option and it would be an 8 minute cycle. Whew, OK, here goes nothing. I was able to watch the guy in front of me with this car and Mel’s directions were great and it all worked out in the end. Above is a photo of the car in front of us finishing up before we headed in. Sadly, I didn’t get a photo of the end result, but the car looks great and now I know how to do that if I ever need to in the future. 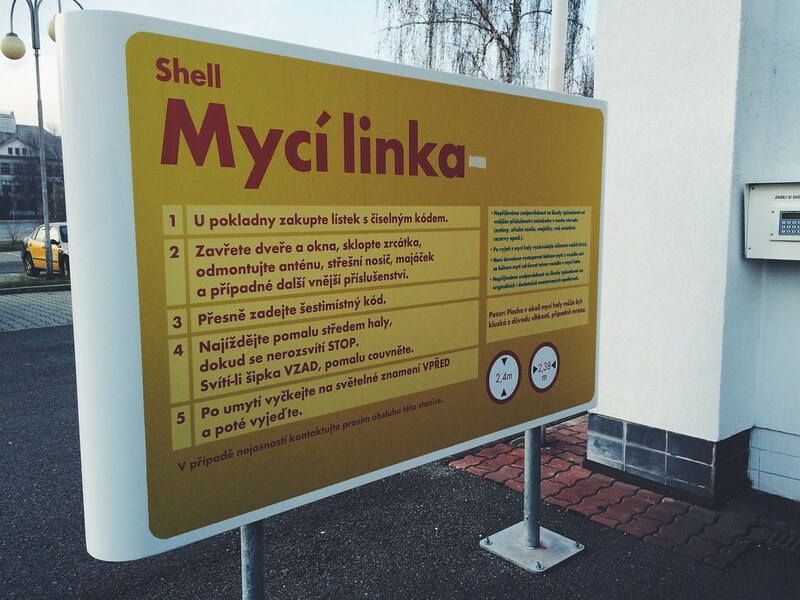 Our first car wash in Czech…I’m so proud.